It’s been a wild few weeks for Marvel, with Captain Marvel’s new trailer making waves and and the effects of the Avengers: Endgame trailerstill rippling through 2019. Yet somehow the MCU found room for more — despite Thanos snapping him out of existence, young Peter Parker’s made it through for a sequel to Spider-Man: Homecoming. The first trailer for Spider-Man: Far From Home is here, and sporting an explosive Jake Gyllenhaal. Far From Home takes place after the events of the fourth Avengers film, which means that whoever else might perish in the final showdown with Thanos, Spider-Man’s dark fate has been turned. As the name implies, the movie follows Peter Parker (Tom Holland) and his friends as they take a summer vacation across Europe. The enigmatic Mysterio, played by Gyllenhaal, ruins the Eurotrip. 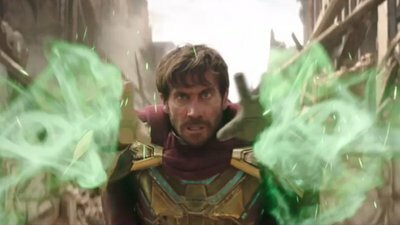 Marvel has released the highly anticipated trailer for #SpiderManFarFromHome starring @TomHolland1996, @Zendaya, @SamuelLJackson and more, with a surprise role from Jake Gyllenhaal as #Mysterio, movie hits theaters on July 5th. US Congressman Steve King White Nationalist – Wonders how is White Supremacy Offensive?